It’s official. 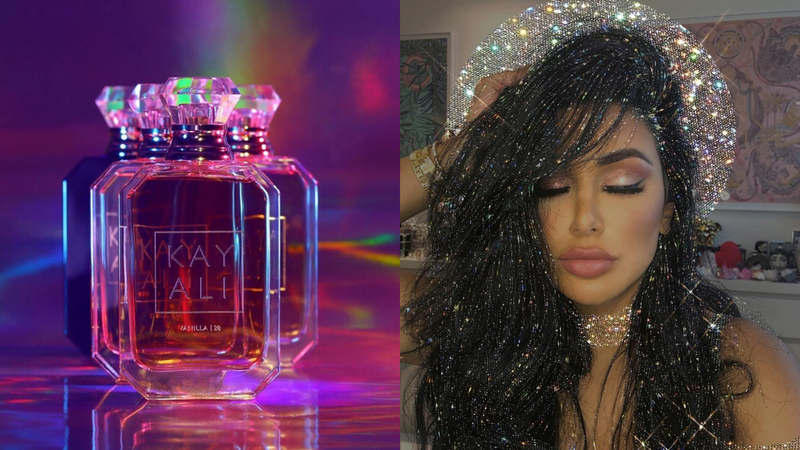 With the help of her sister and Huda Beauty co-founder Mona Kattan, Huda, the beauty influencer has launched their first-ever perfume, KAYALI. KAYALI which is my imagination in Arabic is inspired by the Middle Eastern art of layering scents to create a fragrance that’s uniquely your own and was “years in the making.” Between Huda Beauty’s popularity in the beauty world and Mona Kattan’s own love of fragrance. The Kayali Collection will feature four different perfumes: vanilla, citrus, elixir and musk, all stored in beautiful glass packaging with crystal toppers. I can’t wait for it’s debut! Kayali will launch November 16 at Kayalifragrance.com , Sephora, Cult Beauty, Harrods, and Selfridges.